DRI Welcomes Kelly McCort as Project Coordinator for Automation Team - Direct Recruiters Inc. Direct Recruiters, Inc. is pleased to announce that Kelly McCort has joined our Automation Practice team as a Project Coordinator. Kelly works closely with Robert Cohn, Director of Automation, in order to expand our offerings and presence in this specialty area. s Kelly was an Account Manager for a Tire Company. She worked with dealerships and provided consultations on how to increase profitability and retention within their fixed operations departments. She has a proven track record when it comes to building long-term trust relationships and loyal customers. 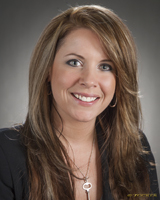 Kelly is hard-working, very personable and committed to getting the best results for DRI clients and candidates. To contact Kelly: 440-996-0879 or kmccort@directrecruiters.com.